It’s crucial to write about Africa with ethics and empathy. Alexis Okeowo explains how. 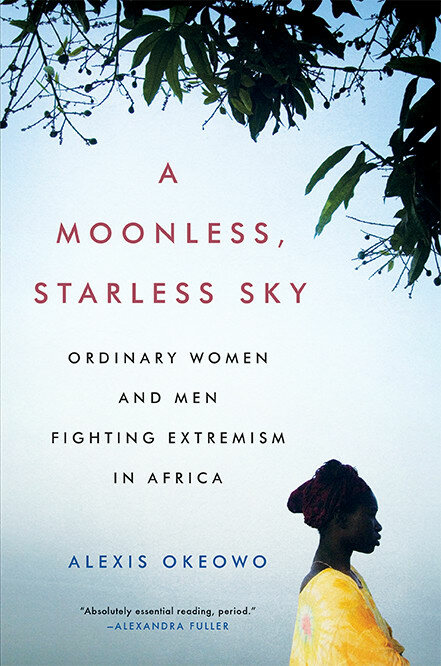 The journalist discusses her first book, A Moonless, Starless Sky: Ordinary Women and Men Fighting Extremism in Africa. I unwittingly assumed the role of a public relations representative for the whole continent of Africa when I moved to California from Ethiopia as a ninth grader. I fielded questions and corrected misconceptions about the weather, the supposed ubiquity of lions, and other absurd fixations my classmates had. By the time I got to college a few years later, the comments from strangers who learned I was from Africa took on a more political tone. Vague but confident assertions about conflicts, famines, and other disasters came with frequency from ill-informed peers and professors. By then, it was evident to me that I was up against a bigger beast: a culture of reporting and representation of Africa in Western media fraught with biases and depersonalized accounts of a culturally and physically expansive continent that is home to over a billion people. As I shifted my gears to be more discerning in my consumption of media about Africa, I came across reliable and nuanced dispatches from Alexis Okeowo, writing in The New Yorker and The New York Times Magazine. She wrote with clarity and context about complicated subjects, such as a homophobic movement in Uganda fueled by American Evangelical Christian groups and right-wing politicians. 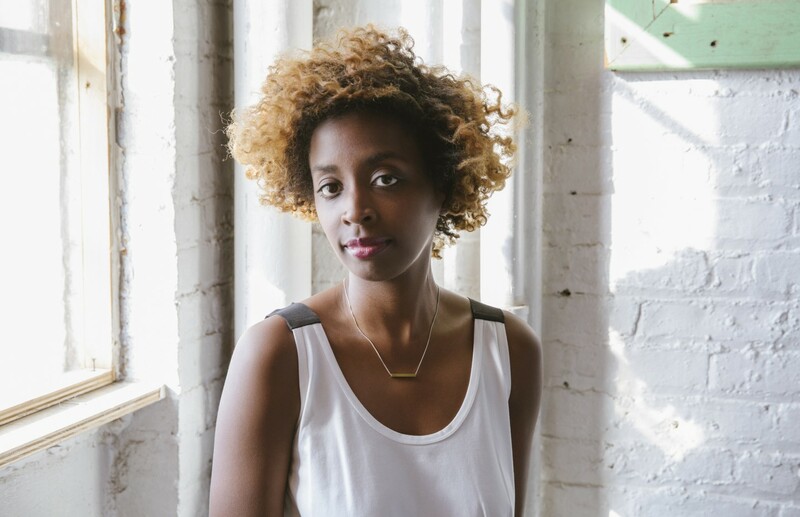 She profiled with powerful detail Eritrean soccer players who defected from their team to flee the unpromising lives that awaited them back home. In 2014, her crucial missives about the kidnapping of more than 200 girls in Chibok by Boko Haram illuminated the complexities of the tragedy, from the Nigerian government’s feeble response to a rising civilian vigilante group who fought back against the extremists who terrorized their communities. I talked to Alexis a day after the release of A Moonless, Starless Sky, fresh off of celebrating her debut. She explained how she came to practice a set of standards and ethics as a journalist and the influence of her own heritage, as the daughter of Nigerian immigrants who born and raised in Alabama. We spoke about how she came to be a journalist in Africa and why she’s returning to America after three years in Lagos to report on her birth country’s own growing struggles with extremism. What about Africa or Nigeria specifically you were exposed as the daughter of Nigerian immigrants? They try to stay very connected and follow the politics and follow the goings-ons of what's happening [in Nigeria]. Because there are quite a few universities in [Montgomery, where I was raised], and there always seemed to be a Nigerian population that clusters around the university. My parents actually had a lot of Nigerian and West African friends. They even formed a Nigerian association. And so from when I was very small, they always held parties and dinners that were culturally Nigerian with music and food and traditions that if you kind of close your eyes, you almost felt like you were in Nigeria. I was used to eating Nigerian food at home most of the time, my mom had all these records and so in a way it was very present in the background. But when I was growing up, it wasn't necessarily what I was most interested in. It was just a fact of life. As opposed to trying to immerse myself in my Nigerian-ness, I was just more trying to survive being a teenager. When was the first time you went to Nigeria? I believe I was 11 when we first went back to Nigeria for Christmas vacation. It was a really surreal experience to meet this extended family on both sides in this place that was so foreign to me at the time. But I think that trip must have created a seed, just like a curiosity about wanting to go back and see more and learn more. You started your journalism career in Uganda. How did you end up there? I was a senior in college and I knew I wanted to be a journalist but it just seemed unlikely that I would be able to get a job in New York the next year. The economy wasn't doing that great and it's never easy getting a journalism job. And then someone told me about a program at my alma mater [Princeton] that placed recent graduates in internships across the continent. Two of them at the time were at media organizations. One was a newspaper and one was a TV network. And so I applied for both and I ended up getting the one at a state-run newspaper in Uganda. I'd never been there before and I didn't know much about it so I started reading about it. It was an incredible experience. They just assigned me as a junior reporter and I shadowed some really great Ugandan journalists and started learning from there. What did your parents think of you going to Uganda? They were shocked when I told them. They were definitely against it. They came around when I sort of persuaded them that it would just be a year but they just couldn't understand it. They didn't understand why I would want to go to the Continent and take up a job as a lowly journalist barely making anything and potentially putting my life at risk. It didn't make sense to them because they had sacrificed a lot, obviously, to get to the U.S. as students and work their way up. Actually, it took them a long time to come along fully to supporting my work in Africa because it just wasn't something they'd ever imagined for me. Do either of your parents work in that world? What's actually funny is that my dad is actually a professor of journalism. His reasoning is that because he chose academia, which is more stable obviously, that he kind of gets a pass as opposed to being out there as a freelancer with no safety net. Which is, you know, fair enough but it's like, "Hello, you gave me this gene!" Your work follows specific set of ethics. Do you and your dad talk about that? We do. From the time I started working as a journalist, he would talk about ethical practices, how to best treat and work with your subjects, and how to best portray them, and how important it is to be honest and thorough. Also, as a Nigerian-American, I do put an added pressure on myself because coverage of Africa has been so flawed especially in the way journalists have depicted Africans. I do put a burden on myself that I try to live up to, which is to meet a standard that I have in my head of how Africans should be portrayed and how they should be seen as just as complex and nuanced as any subjects in the West. In the preface in the book, you make the distinction between pity and empathy. How did you come to realize the difference between the two? I talk about how when I first started, as a 22-year-old novice, I'm going to refugee camps in Uganda talking to people who've been mutilated and were abducted to be child soldiers. And the experience was so alien to me that at first what I'm feeling is just a horror, then a pity. I go in, I ask my questions, and then I'm out. I'm not learning anything about their interior lives, about the things they like, they don't like, the things they think about. And so after a while, the way I was approaching my subjects was not in line with the way I was actually feeling living in Uganda because I was making Ugandan friends. I was obviously realizing very quickly there was not much difference between — if any difference — between me and the people I was meeting and making friends with in Uganda. I realized that I needed to apply that approach to the people I was interviewing. Yes, they had in some cases dramatically different experiences, but they were people just like me who had interests and their own beliefs and their own thoughts. Part of that was changing the approach in a way, trying to spend more time with my subjects, trying to get deeper and go beyond stock questions that, especially when you're writing for a newspaper or in a shorter format, you're encouraged to do: "Bang, get out the point, and then move on." I think that can be a hindrance to forming empathy because you already have your angle or argument in mind and you just want to get the proof for it as opposed to going with an open mind and exploring and seeing what happens and work with what comes up. When speaking to folks who are harder to relate to, morally or otherwise, how do you create space for empathy? I wrote about a government auditor who became a vigilante in Nigeria and rose up against Boko Haram. He's a guy who there are plenty of things to admire about, but there are also some things that I was suspicious about because his group had been accused of human rights abuses. He was never straight forward about those things when I asked him about it. So he was definitely not a perfect hero at all but by virtue of spending so much time with him, I did see and experience a lot of endearing qualities about him. It was one of those times that made me realize as always that people are complex and have many sides to them. People are rarely just good or bad and that's okay. How do you develop trust with your subjects? I'm thinking of one of the subjects from the book. Her name is Aisha and she's a basketball player from Somalia. In the beginning I think she was weary of me. What helped is that what I try to do when I first start talking to someone is talking a lot about myself at first and not just like "I'm a reporter and this is who I work for" but sharing personal details that the person I'm interviewing could possibly relate to. With her, I was talking about my own failed high-school career as an athlete. She wanted to know about my dating life and I was just really open. That kind of disarmed her a bit. I think it's important in these situations to be as open as possible so that it feels like a conversation instead of an interrogation. I know that's what would make me feel more comfortable. Unlike a lot of reporting on Africa in the West, you don’t appear in your stories on a sort of “hero’s journey.” Is that a conscious choice? It's definitely intentional. Not just with the book but with my reporting, my goal is to always center the people I'm talking about, especially if they are from places that have been covered problematically. I tend to want all the voices in the piece to be from that place, whether I'm talking to experts, or I'm talking to analysts. For me it's about centering the voices and not having any kind of Western saviors, including myself, as a journalist. I don't want to be some kind of savior who's being held up because I'm telling the story. To me, the hero of the story is the person I'm writing about, even if the hero is flawed. Something distinct about your work is the amount of historical context you weave into the stories. What does the research you do look like? Research usually just involves a lot of reading while I'm reporting and after reporting the story. I like to read both fiction and nonfiction related to the place I'm writing about. I like to read journalists' books, sometimes journalists' memoirs about certain places can provide certain interesting perspectives. It's usually just me starting reporting on a new place, crowdsourcing from friends and colleagues their favorite books about the place or the conflict and then going from there. Also, I like to do primary interviews, too — talking to historians and analysts because that can also be a nice change to get someone's thoughts from interviews as opposed to reading the historical book. I just think it's so important because one of my biggest fears is getting a place wrong and so I definitely try to survey as much as I can so I don't. Especially if it's a place that I'm just beginning to spend time in. I really can't overstate that even with the research, it's important to talk to people who are from there, just on an anecdotal base. With the Somalia story, I was talking with my friends from Somalia and being like, "How is it really? Tell me what it's like." Because sometimes even the historical books, they can't get the sense of colloquial things, things that people know in that place. African folks, myself included, can be weary of what we consider to be over-reporting on negative things from the continent. Do you consider that when you write or do you set that aside to cover what interests you? I do report on lighter things. But at the same, as you said, I have to go with what interests me and often times it is extreme situations because I am drawn to the people at the center of it, the choices they make, the life they choose to live. I can't stop reporting on [something] just because someone isn't happy about it. It is one of the sides of life and I think that one person can't do everything. They can try to do as much as they can but that's why there's many journalists to do all types of stories. Why do you think you’re drawn to extreme situations? I'm interested in extreme situations because I’m interested in how they affect the people who find themselves in them. I'm curious as to how people survive in these situations: how their thinking changes or stays the same, what kind of decision-making they do, what becomes important to them and how they choose to preserve their ways of life. To me, what's interesting is not the conflict or the violence but actually how do people survive and sometimes resist at the center of this radical situation. That to me has always been fascinating because I find often times that people will really rise up in different ways. Sometimes very prominent ways and sometimes in very small ways. What do you parents think of your work now? Now that they've been able to see a lot of the stories I've done and read my book, they now see what I've been trying to do all these years. I think it makes sense now. I think that it's something that they're proud of because as my father says, it's not common for a storyteller about the Continent to actually have heritage from that continent. Or rather it's not common to have a storyteller writing stories for both Western and African audiences to be from the Continent. Usually we're used to white men, often with a colonial gaze, telling these stories. I think there's something different to having people like us tell it from a different perspective. I know they are proud now because now they can see this is what you've been doing and we get it. What comes after the book tour? Is it fair to assume you'll be continuing your reporting? Yeah. The plan is to continue reporting although I might be shifting more domestic for a while but my interest in Africa is forever. It will be long-lasting. But I think for the immediate future, it will be more domestic. Because we're having our own extremist political situations here. So it feels like the right time to turn my gaze inwards. Your past experience might come in handy to see how we've landed here. What do folks in Nigeria and other countries think of what we're up to over here? Yeah. I mean I've definitely heard from people who are really surprised this happened. I think I was talking to someone for an interview for the book and he was telling me that he was praying for us. I was like “I should be praying for you.” I guess we'll both pray for each other.